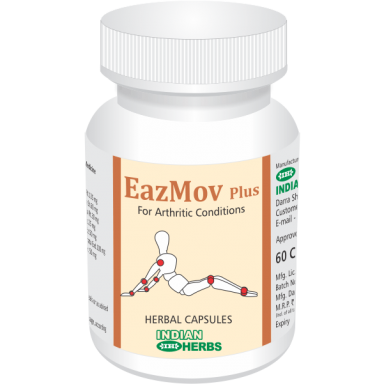 The herbal formulation EazMov Plus helps to control degenerative process while providing relief from pain and inflammation in arthritic conditions without causing gastric ulceration and any disturbance in hepatic, renal and cardiac functions. EazMov Plus also enhances bio-synthesis and active production of glycosaminoglycans (GAGs) and mucopolysaccharides which, as components of cartilage matrix, help in repair, maintenance and growth of cartilage and prevent degeneration of chondrocytes and articular cartilage. EazMov Plus helps to improve the quality and content of hyaluronic acid in all layers of synovial membrane and cartilage with improvement in mucin clot quality. 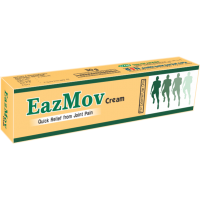 EazMov Plus prevents the excessive calcification of cartilage and improves proliferation of blood vessels through the thinned calcified layer. 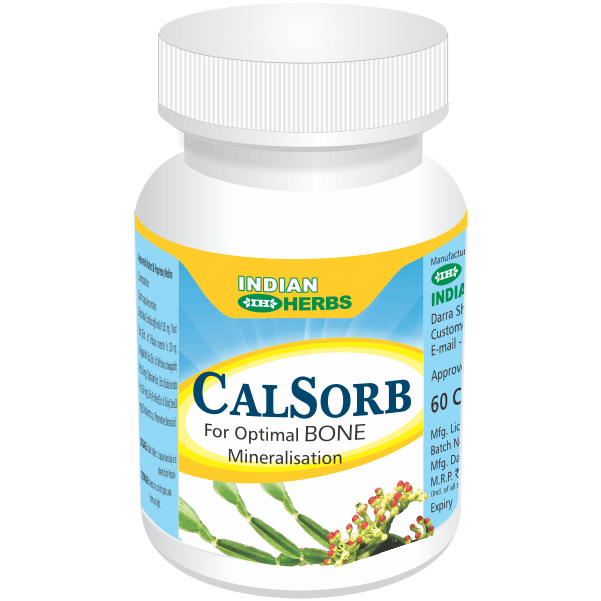 It helps to normalize and maintain relative viscosity, biochemical character and enzymic activity of synovial fluid. 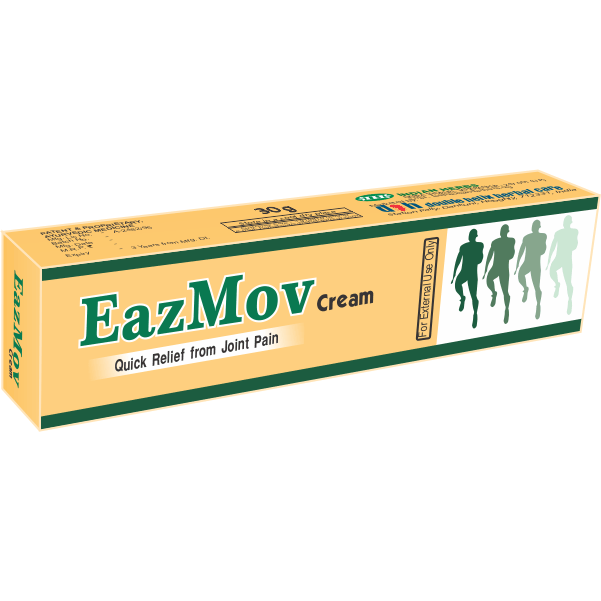 Thus EazMov Plus modifies the disease process and facilitates the regeneration and quick healing of synovial membrane and articular cartilage by improving their nutrition and blood supply to quickly restore joint mobility. EazMov Plus is selective and potent inhibitor of neutrophil oxidative burst and thus controls the degenerative process in Osteoarthritis and successfully modifies the disease process to help control the titres of RA factor to initiate remission in Rheumatoid arthritis. 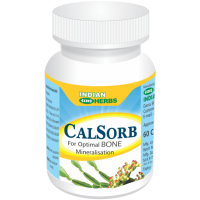 It is non-ulcerogenic and safe for G.I. mucosa and it can be used with NSAID's, in acute conditions. Seronegative and Seropositive Rheumatoid arthritis. Non-specific arthritis and Low pack pain. Cervical spondylosis and Ankylosing spondylitis.